‘Cold gas stripping in satellite galaxies: from pairs to clusters’, published in the Monthly Notices of the Royal Astronomical Society on January 17th, 2017. 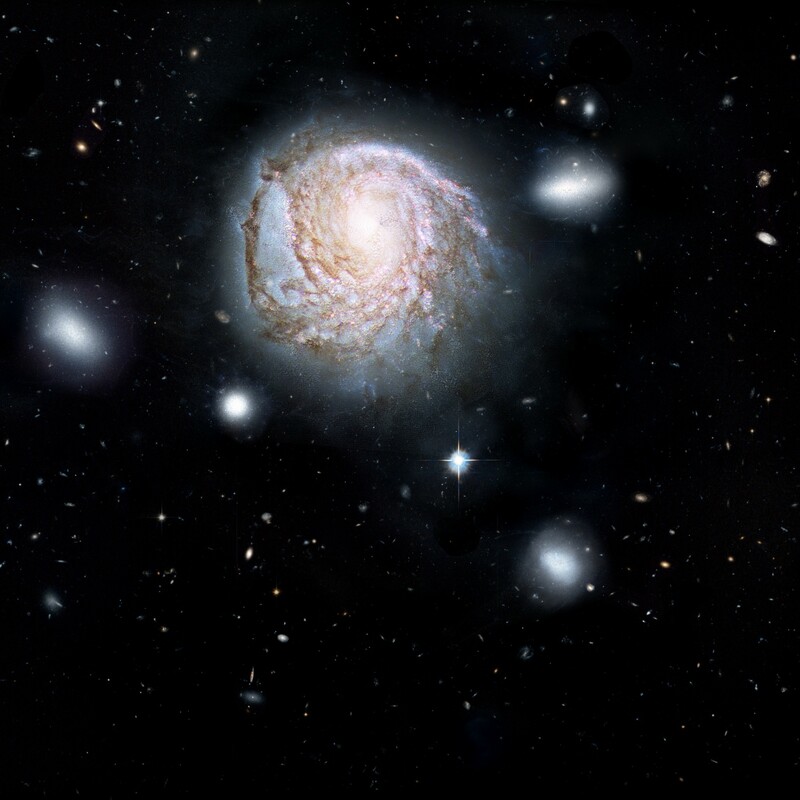 This artist’s impression shows the spiral galaxy NGC 4921 based on observations made by the Hubble Space Telescope. 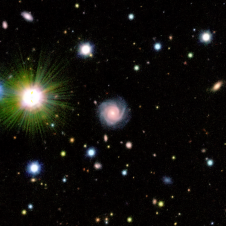 Credit: ICRAR, NASA, ESA, the Hubble Heritage Team (STScI/AURA). 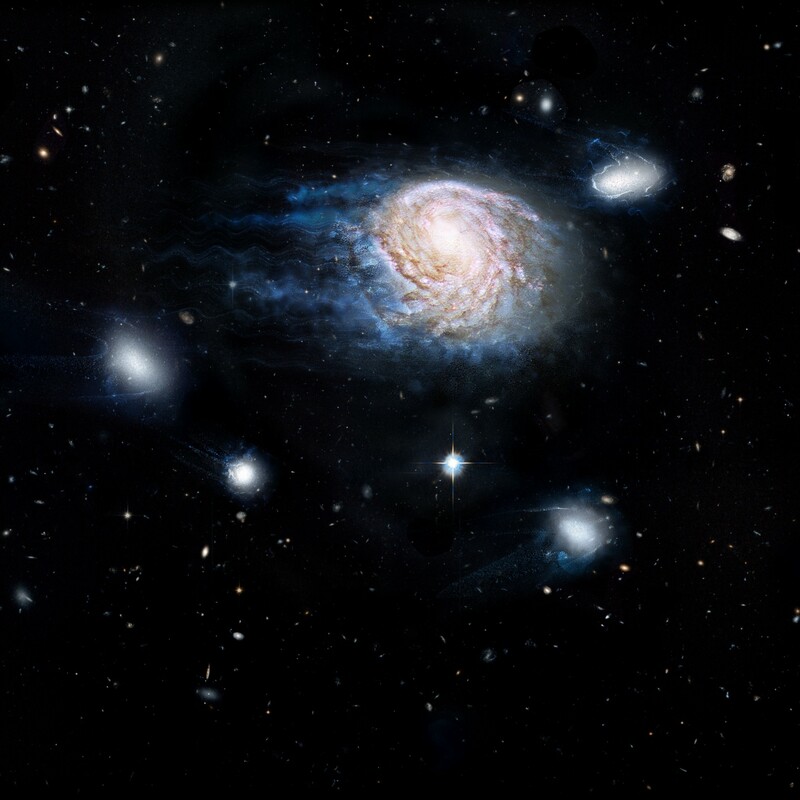 An artist’s impression of ram-pressure stripping of galaxy NGC 4921. 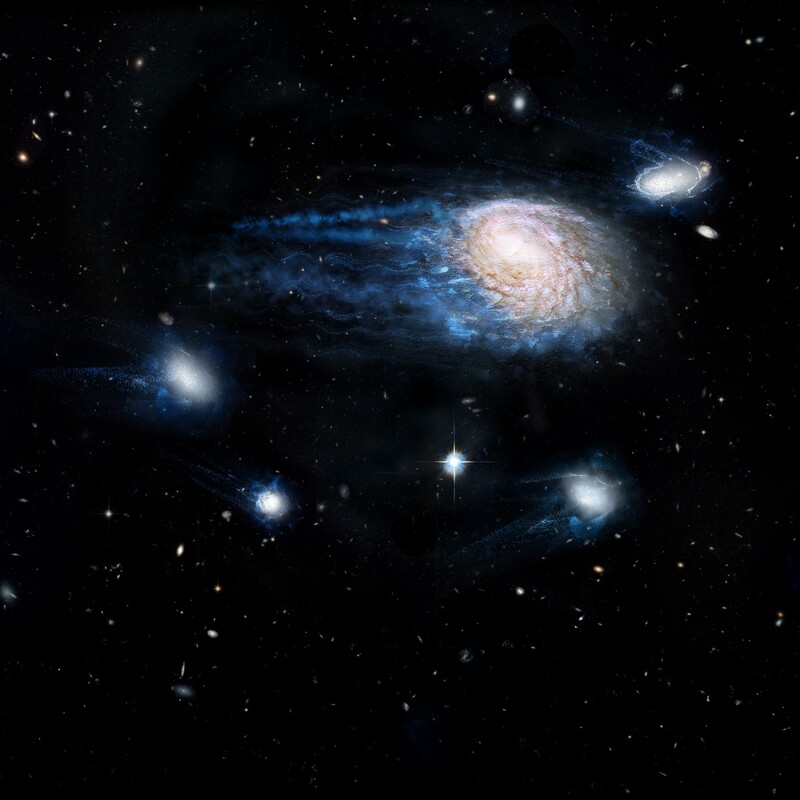 Stripping removes gas—the raw fuel for star formation—and could be the dominant way galaxies are killed by their environment. Credit: ICRAR, NASA, ESA, the Hubble Heritage Team (STScI/AURA).